Like all girls, Barbie, Merida and Anna love games. But they have another feature. In childhood, they played the same game. You may have played them too. Try to guess what these beauties played. 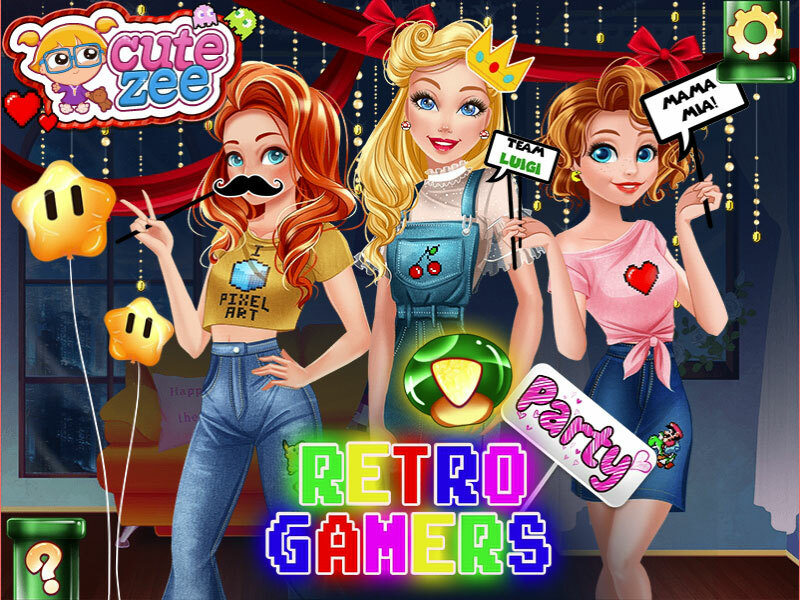 This game of Barbie, Merida and Anna gamers will give you the opportunity to choose outfits for girls who would like to wear something reminiscent of the retro games they played in their childhood. You can dress up each of the girls. Of course, you can choose hair and makeup. After all, in this outfit girls will download old retro games and will play when they remember their childhood. Played: 2718. Added: 20-11-2018, 11:33. Retro Gamer dress up game.